Whether it’s for one night or ten, travelling with kids takes a whole lot of organisation. Where you stay and the type of accommodation you choose is crucial, so we’ve done your homework for you and dug up six excellent hotels within central Melbourne that are as kid-friendly as they come. This hotel is best known for its sensational location in popular St Kilda. 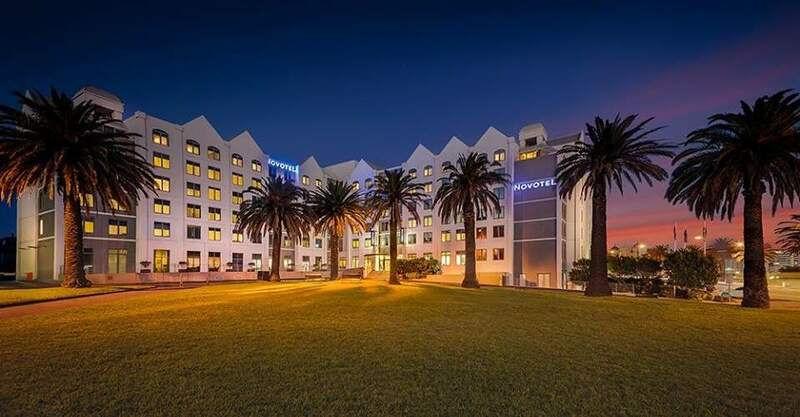 Opposite the beach, and a hop, skip and jump from Luna Park and the buzz of the St Kilda foreshore, this hotel makes an excellent base for families. The Novotel St Kilda includes a designated children’s play area, a heated pool and children’s menus for easier meal times. Room options for families include the Superior Family Suite, which features a king-sized bed and two singles within one large room; or, if there’s room in the budget, the Two Bedroom Penthouse, which has a private balcony and sleeps two adults and one child. This boutique-style hotel is found tucked within Southbank’s high rises on City Rd, a stone’s throw from the iconic Eureka Tower. Apartments at Wrap offer families practical facilities like a fridge, kitchenette, dining table, lounge area and laundry equipment. The best bet for families is a Two Bedroom Apartment – perfect for putting young kids to bed earlier. You’ll find a doctor on call all day and night, a babysitting service, and some very cool leisure facilities like a heated indoor pool from which you can see some of Southbank’s busy lanes below. What makes this even more perfect is there is an IGA Express right across the road, so when you run out of milk, it’s no drama. At Wrap, public transport is only seconds away, and landmarks like the SEA LIFE Aquarium, Melbourne Arts Centre and Federation Square are all within walking distance. At Wyndham, you are only minutes from Melbourne Emporium and Bourke St Mall, and public transport is right out the front to get you anywhere you need to go in town. For families, the Two Bedroom Apartments are ideal, and come with fully-equipped kitchens, lounge and laundry facilities. For larger families, there is also a three bedroom Presidential Suite at Wyndham, offering first class, contemporary accommodation – even a private bathtub on the balcony. With a large, heated rooftop swimming and barbecue facilities, the Wyndham has plenty of outdoor recreation options that are perfect for summer. Located right next door to Crown Towers, Crown Promenade sits near the corner of Clarendon Street and Whiteman Streets. So, in one direction you have Melbourne’s bustling Southbank precinct and the culture- rich CBD; the other direction leads you into South Melbourne, where you will find great food, boutiques and one of the best markets in town. At Crown Promenade everything is contemporary and relaxed with a focus on comfort, location, great prices – and entertainment. A bridge connects Crown Promenade with the Crown Entertainment Complex, home to Village Cinemas, numerous shows, restaurants and boutiques. Standard Twin rooms offer two queen-sized beds within one space, so it suits a family of four. On The Deck, kids will have a ball in the spectacular heated indoor pool, while parents lap up the city views. This hotel is often the place to find great family getaway deals and offers. So keep tabs on their website for upcoming offers. 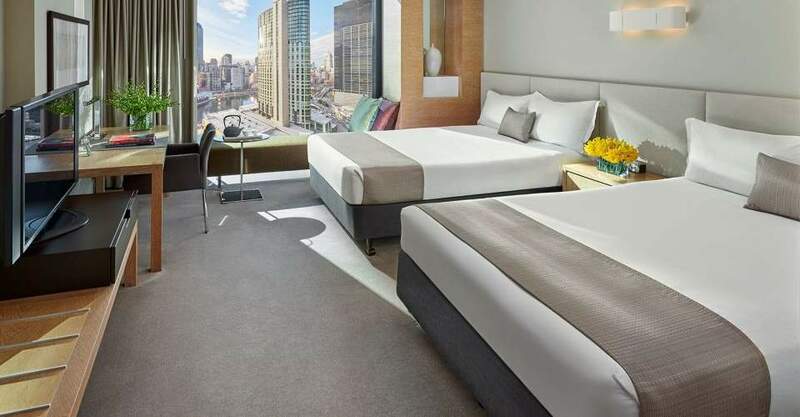 The iconic Rydges Hotel is nestled among Melbourne’s best theatres and restaurants, so if culture and entertainment are at the top of your priority list, this is an excellent place to stay. 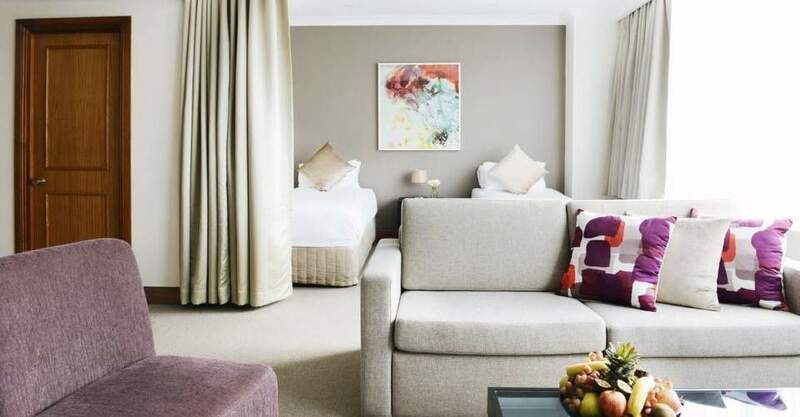 Rydges is a stone’s throw from Her Majesty’s Theatre, The Athenaeum, Regent Theatre and the Princess Theatre. Collins Street and it’s myriad boutiques awaits, as does Chinatown’s famous yum cha. 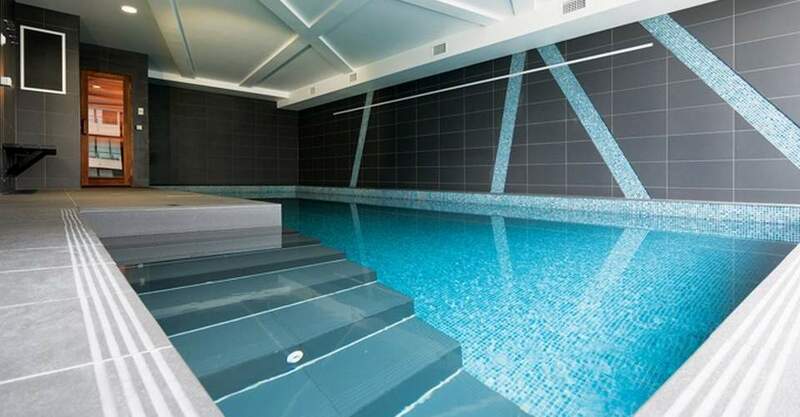 Or, if the weather calls for it, there’s the fabulous heated swimming pool to enjoy. For families the Two Bedroom Spa Suite will more than suffice. Elegant design and loads of comfort, including king-single beds in the second room and a cozy lounge area make this a top choice for inner-Melbourne accommodation. For an ultra-modern famility apartment that comes with a rooftop tennis court and a state-of-the-art pool, this is your place! 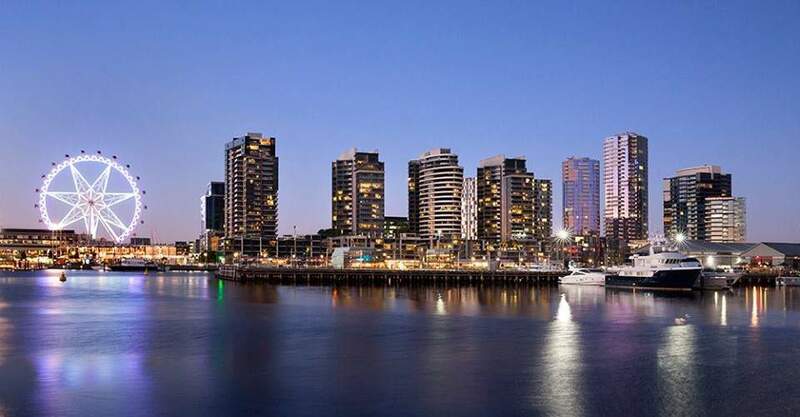 In fact, located right in the heart of Melbourne’s Docklands, the award-winning Sebel is one of the best hotels for a waterfront stay. For entertainment, how about ice skating? Or GlowGolf? It’s all just minutes away at Harbour Town: the entertainment and shopping precinct of the Docklands. For family accommodation you have the option of a Two Bedroom Deluxe room, which features a king-sized bed in the master room and queen-sized bed in the second room; or a Two Bedroom Waterfront Room, with a king-sized bed in the master and two singles in the kids’ room. Features here include babysitting, a 25-metre aquamarine pool and spa, even an outdoor tennis court – that will get the kids moving!